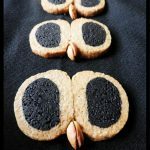 Halloween Hoot Owl Cookies are so delicious and simple to make. Halloween party is a new word in my kid’s dictionary. Last year they asked for a cake, a monster cake and me I tried making it. However, I am yet to reach the mental image of a monster cake before I can be satisfied. This year as most of the girl’s gang is not in town, some have gone for higher studies, some are working so it leaves lonesome younger one and her friend. These cookies I copied from here. I have substituted maida/APf with whole wheat flour and brown sugar with regular sugar. The main ingredients are whole wheat flour, butter cocoa, sugar, milk. A hoot treat for Halloween! In a bowl, sift the flour with baking powder, baking powder and salt set aside. Beat the sugar, butter, and vanilla until they turn light and fluffy. Add the flour mixture then slowly as needed add the milk knead to a soft dough. Divide the dough into two, a medium sized dough and a large sized dough. To the smaller dough add the cocoa powder and knead again as smooth dough. Make a log and set aside. Roll the large sized dough as rectangle. Place the chocolate log into the rolled rectangle, wrap it in a foil tight, and keep in fridge for an hour. Meanwhile line a baking tray with a baking sheet. Unroll the wrapped foil, slice the roll, and press 2 slices together on the baking sheet. Stick the cashew between the slices to form the beak. Bake at 180C for 10-15minutes or until the cookies turn slightly golden brown. Awesome ! 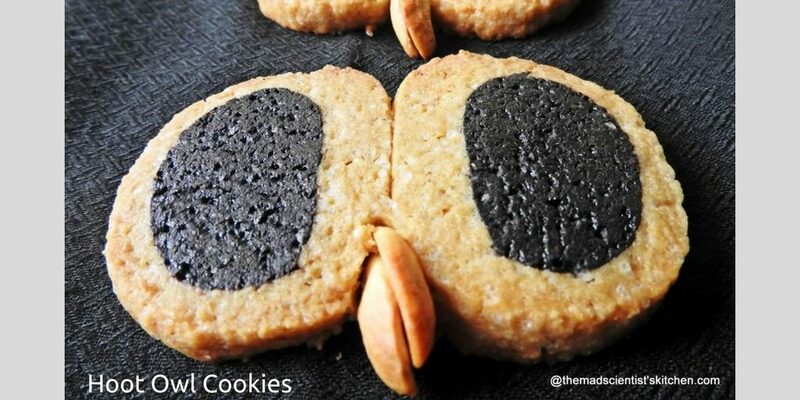 They cookies look so cute , I bet my grandkids would go crazy over them ! Perfect for halloween and are cute. Am sure those tasted great! 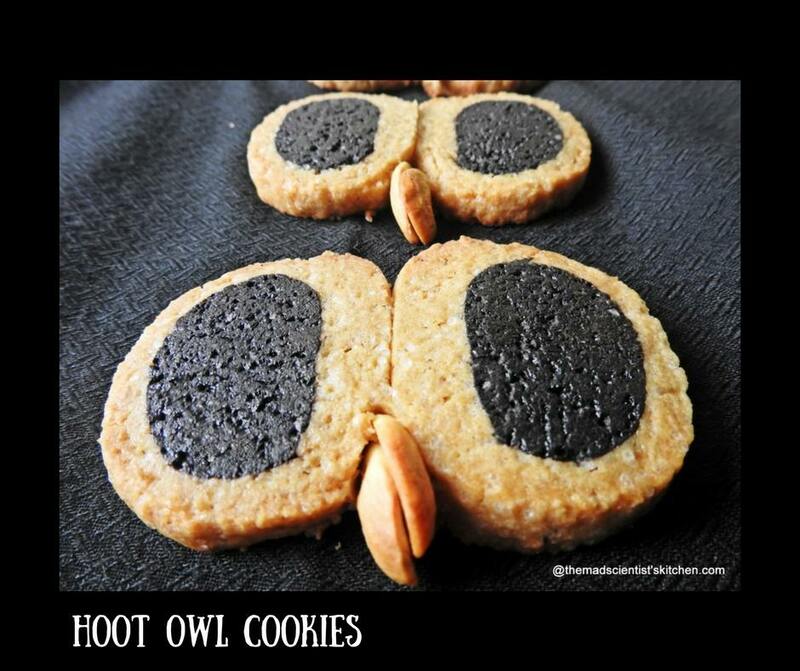 Thanks for trying Archana, hoot owl cookies looks damn cute and prefect for halloween. These hoot owl cookies look so so cute. Brilliant idea for Halloween. Even though you forgot the chocolate chips, one would think the dark circles are the eyes. So creamy and yummy treat for Halloween! !